Wiro - We use steel wiro binding rather than plastic comb binding which can become brittle, or can crack and break. We always put a card back and can add an acetate cover which makes your document more hard wearing. Suitable for documents of up to 250 sheets of paper (500 pages if double sided), and is acceptable for dissertations and thesis by most Universities. Saddle stitching - Suitable for documents of around 48 pages, where we would print double sided sheets at A3 or A4 size, then fold and staple twice in the middle of the booklet to a finished size of A4 or A5. Lamination is where and piece of paper or card is sandwiched between two sheets of plastic and then heat sealed. This makes it un-tearable, waterproof and wipe clean. 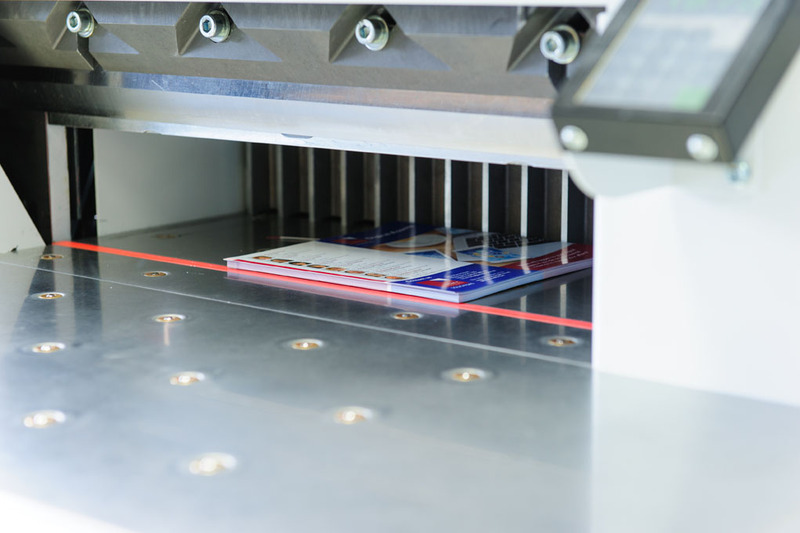 We have the facilities to laminate any size from postage stamp size to A1 on the premises. NOTE: Thinner paper, expecially in sizes over A4, are susceptible to creasing. In these cases, especially with fragile and old documents, we may suggest making a copy of your document and laminating this in order to preserve the original. We can create perforations for a variety of purposes, for example invoices where you wish to retain one copy in a book form, and also for tickets where you need to retain a stub for records. Ideal for invoices and purchase orders, or for ensuring that you can make a record or tickets sold for and event. The perfect way of keeping your copies of company invoices together! We can provide pads in a variety of sizes and can make tear off pads as giveaways to promote your company.